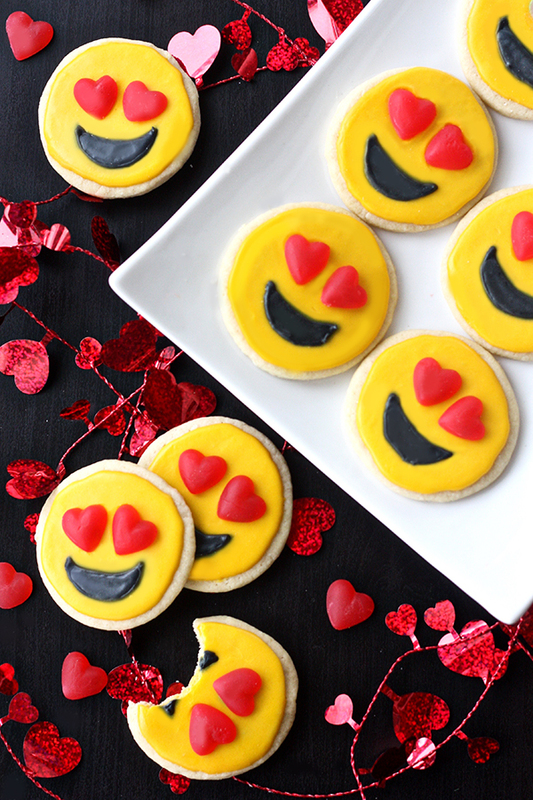 With all the hearts flying around these days, I only thought it was right to pay homage to one of my favorite emojis in baked good form – the heart eyes smiley face! I use this one A LOT, and although I’ve been dying to do some poop emoji cupcakes (love these! 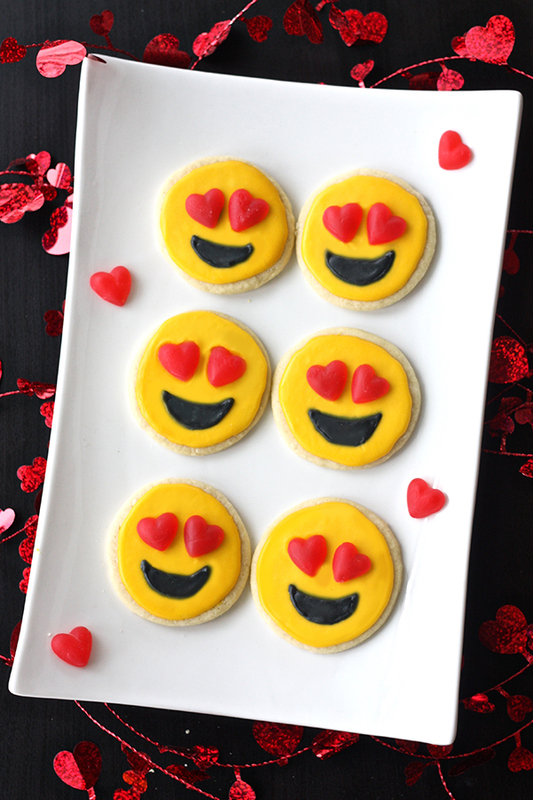 ), I guess this version of an emoji treat is a bit more appetizing, especially with Valentine’s Day coming up. I’ve been doing a lot of baking recently since we’ve been home a lot – by choice and because of Jonas – so these were one of my snowed-in creations from last week. It certainly was cozy to be inside baking and decorating cookies with a glass of wine and some non-stop Netflix on the side! I actually do find it very relaxing to decorate with royal icing, as long as the design of the cookie isn’t too complicated. As you’ll see from past sugar cookie posts I’ve shared, I tend to keep things simple since I don’t like to get too intricate with the decorations. Egg shapes, piped borders, and squares are just about as much as I can handle with intricacy. I made basketballs and Duke D’s with tiny nets on them a few years ago and although they came out cute, they took way too much time! So today’s sugar cookies are perfect – round cookies, only two colors of icing, and heart candy to make things even easier. I picked up a bag of juju hearts from the grocery store and opted to use those for eyes because they were the perfect shape and size. 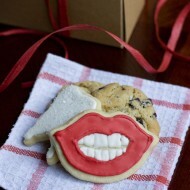 They also add some dimension to the cookies which I thought ended up looking really cute! In the bowl of an electric mixer, beat together butter and sugar for about 2 minutes, until light and fluffy. Add the eggs and egg yolk, one at a time, mixing well in between each and scraping down the sides of the bowl as necessary. Add the vanilla and beat again until smooth. In a medium bowl, whisk together the flour, salt, and baking powder. With the mixer on low speed, slowly add the dry ingredients until just combined. Wrap the dough in saran wrap and chill in the fridge for at least an hour (or overnight). Preheat oven to 350 degrees and line two large baking sheets with parchment paper or Silpat mats. Roll out dough to about 1/4-1/8" thickness and use a circle cookie cutter to cut out the shapes. Place the cookies about 1" apart on prepared cookie sheets and bake for 8-10 minutes (shy on the undercooked side - they might look like they're not done but they'll cook a bit more on the cookie sheet and you don't want them crunchy). 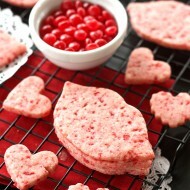 Allow cookies to cool on the pan for 5 minutes, then transfer to a wire rack to cool completely before decorating. In the bowl of an electric mixer, mix together the powdered sugar, meringue powder, water, and vanilla until smooth (about 2 minutes). To achieve the moderate consistency icing, keep adding water 1 tbsp at a time until a ribbon of icing drizzled over the bowl disappears/"melts" back into the bowl of icing in about 20 seconds. 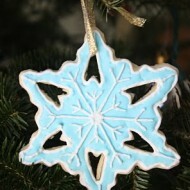 It's somewhere between the consistency of outlining royal icing and flood icing if you've made royal icing before. Keep adding water until you're happy with the consistency, and make sure to beat well in between each addition. Remove about 1/2 cup of the prepared icing to a separate bowl. Add yellow food coloring to the mixer and beat until evenly distributed. Add black food coloring to the smaller bowl of icing until you get a dark black color. Cover this bowl with damp paper towels or rags so it doesn't harden as you do the yellow layer first. Transfer the yellow icing to a plastic squeeze bottle or piping bag fit with a small round tip, and fill in the circles with yellow icing. Allow them to dry uncovered for at least 6-8 hours before adding the black. 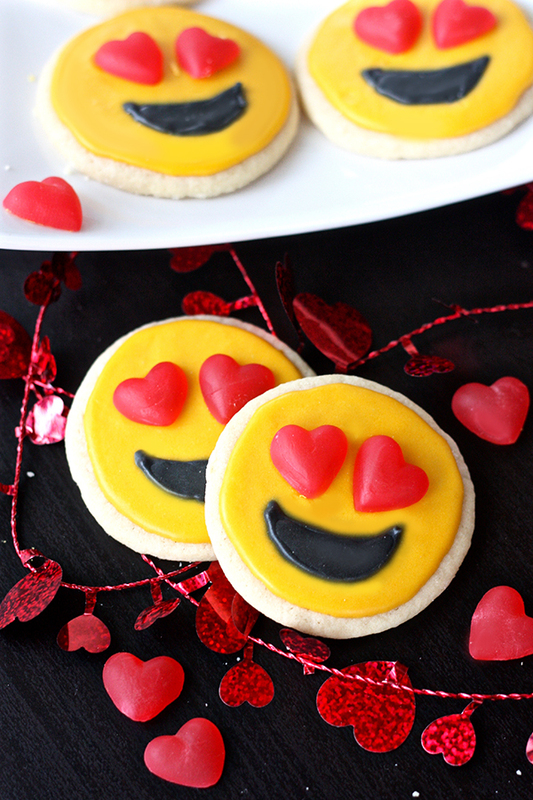 Once the yellow icing is dry, add the candy heart eyes to each cookie. I used a tiny dot of leftover icing to secure each one. Then transfer the black icing to a squeeze bottle or piping bag with a small round tip and add the smiles. Allow this layer to dry again for another 6-8 hours, then store in an airtight container.